Motorists entering the 101 in San Francisco’s upper market will soon see a large, vibrant wall with kids climbing over it. The wall is part of a mural being painted by artist Chris Gazaleh on a residential building owned by Ron Dudum. Gazaleh and Dudum are both from San Francisco, and, in Dudum’s words, both Eastern Orthodox Christian Americans of Palestinian ancestry. The image of the wall is important to both. It represents the Separation Barrier that Israel built through the West Bank, further restricting Palestinans’ access to medical care, education, farmland and more. There’s also a universality to the wall’s message. Gazaleh calls the wall “a complete contradiction to humanity,” remarking on the barrier at the U.S.’s southern border. The image is a way to connect struggles. Dudum agrees. “The parallels are obvious. I don’t believe walls are a strategy for long-term peace anywhere,” he says. The mural depicts a woman clutching a key and cracking the wall. As the construction on Dudum’s building neared completion, he conceived of the mural. He wanted the building’s walls to represent both a beautiful, historical example of the Palestinian experience in general, and his own family’s history. “My great uncles came to the San Francisco Bay Area almost a hundred years ago. This mural is for our neighbors and friends," recounts Dudum. 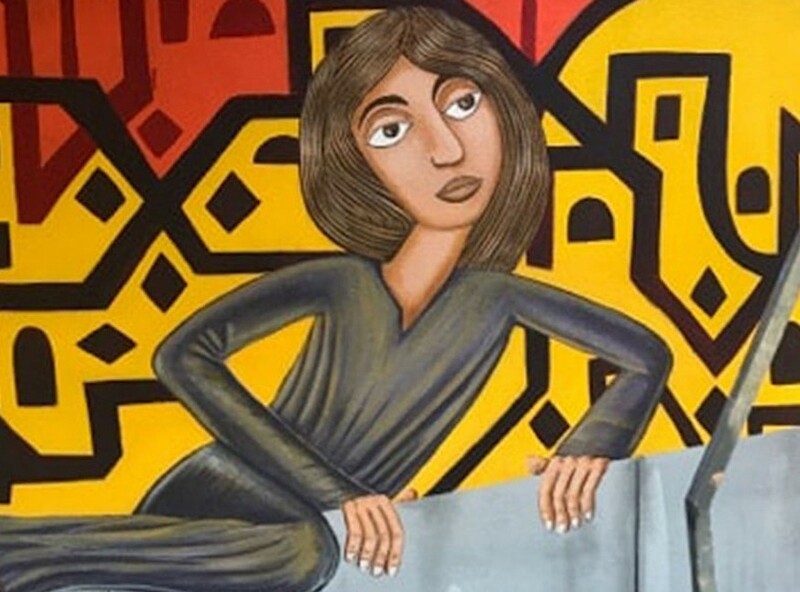 When Dudum reached out to 34-year old Gazaleh, whose mother grew up with Dudum, Gazaleh enthusiastically agreed to take on the project, even though it meant delaying his entry into a masters program. This mural was the opportunity he had been waiting for to put his art—and his message—into the world. The orange tree in the mural has deep significance in both Dudum’s and Gazaleh’s family histories. Dudum’s grandfather planted orange groves near Jaffa 100 years ago. “That land has been part of our family narrative for over 100 years,” he says. For Gazaleh, the orange tree represents Palestinians’ connection to the land, an economy that used to be thriving, and coexistence between Palestinian Jewish, Muslim, and Christian farmers. It also represents a specific section of coastal land on which his great grandfather owned an orange grove. “He was forcibly removed by guns,” says Gazaleh, talking about the 1948 Nakba. Gazaleh’s great grandfather never saw his orange grove again. For Dudum, the mural is about a future without walls. “Sincere empathy in the celebration of diversity is a value not only in San Francisco but hopefully across the country."